Residents of southern Israel woke to a tense but relatively quiet morning Tuesday, following a night in which over 60 rockets were launched from the Gaza Strip and the IDF struck dozens of targets in the Palestinian territory. 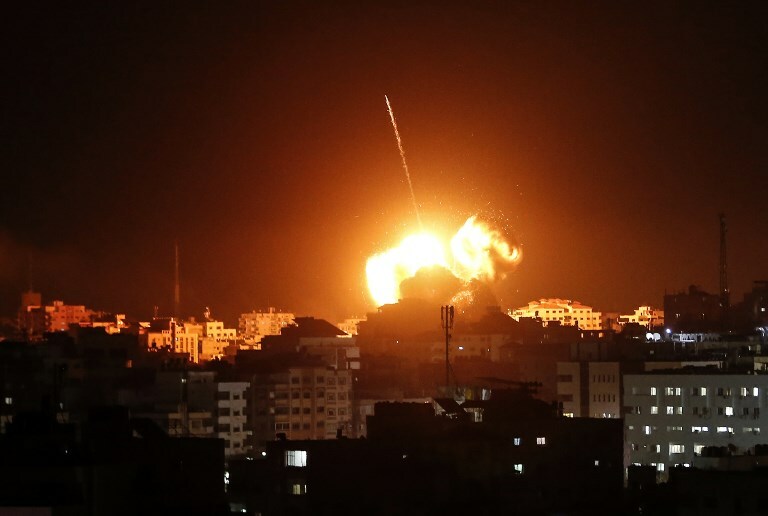 After firing around 30 rockets and mortar shells at Israel Monday evening, the Hamas terror group said it had accepted an Egyptian-brokered ceasefire agreement with Israel that entered into effect at 10 p.m. But terrorists in the Strip continued to attack southern Israel into the night, with the army saying another 30 projectiles were launched between 10 p.m. and 3:15 a.m. The Iron Dome defense system intercepted several of the incoming projectiles, and most of the other rockets and mortars fell in open areas, the army said. There were no Israelis injured in the rocket attacks, though a home in the southern town of Sderot sustained a direct hit by a rocket that did not explode. 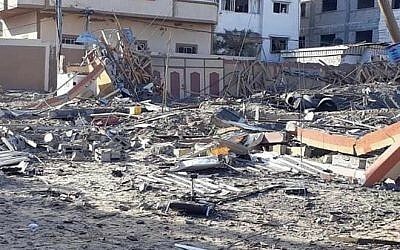 In response to the attacks during the night, Israel Air Force fighter jets and helicopters struck an additional 15 targets in Gaza, in addition to the dozens of locations it bombed earlier in the evening in response to a rocket attack that flattened a home in central Israel. The military said its targets in the night included Hamas and Palestinian Islamic Jihad military compounds in the north of the territory and a Hamas military compound in Deir al-Balah in the central Gaza Strip. 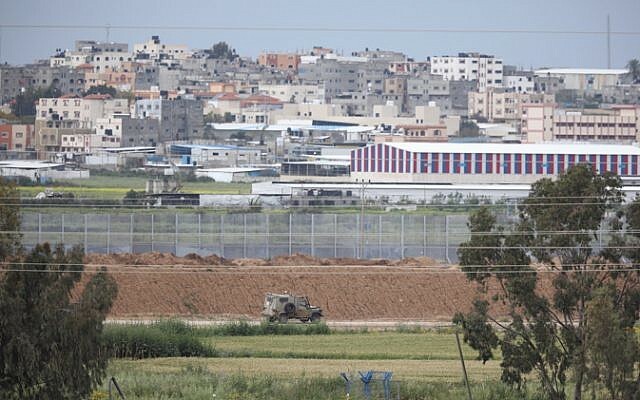 IDF tanks and attack helicopters also targeted several Hamas military posts near the Gaza security fence. The military published video of some of its strikes on Hamas targets. On the Israeli side of the border there had been quiet since the last rocket launch at 3:15 a.m. Nevertheless, schools were to remain closed in the Gaza border region as well as in the cities of Beersheba, Ashkelon and Ashdod, due to safety concerns. Informal classes in kindergartens and nurseries were permitted to take place provide they were held in fortified buildings. Businesses were allowed to operate as usual so long as there was easy access to bomb shelters nearby. Farmers were also permitted to return to their fields if they coordinated their work with the local military brigade. Throughout the morning, residents of the Israeli town of Sderot found fragments of rockets from the night before. Departing the US for Israel around 2 a.m. (Israel time), Prime Minister Benjamin Netanyahu said he would head straight for IDF headquarters upon landing in Tel Aviv Tuesday afternoon. On Monday, Israel carried out a bombing campaign against Hamas targets, including the office of leader Ismail Haniyeh, in response to a rocket attack earlier in the day from Gaza that destroyed a central Israeli home, injuring seven people. Shortly after 5:30 p.m., the Israeli military began bombing targets throughout the Gaza Strip, roughly 12 hours after the rocket was fired from the coastal enclave and hit the home northeast of Tel Aviv. The first Monday night barrage, which targeted communities throughout the Eshkol, Sha’ar Hanegev and Central Negev regions of southern Israel, began roughly three hours into the Israeli bombing campaign. The attacks triggered air raid sirens throughout the area, sending thousands of Israelis scrambling to bomb shelters. At least three Palestinians were wounded in the Israeli strikes, according to the Hamas-run Gaza health ministry. The extent of their injuries was not immediately known. The Israeli military said its fighter jets and attack helicopters targeted dozens of Hamas sites in the Gaza Strip. 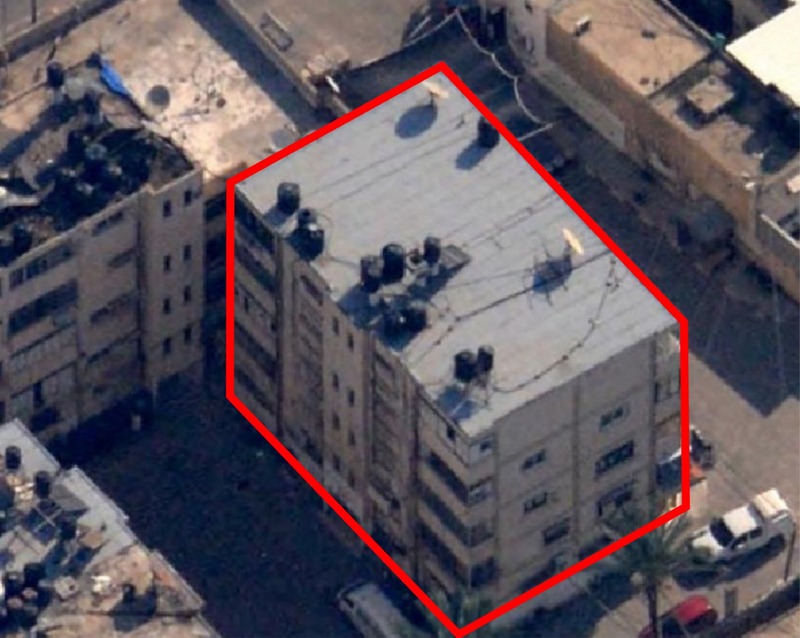 The military said it was also targeting a five-story building that was used by Hamas’s internal security service. Shortly before the raids began, an Egyptian military intelligence delegation left the Strip, where its initial attempts to broker a ceasefire reportedly failed. With the start of the IDF strikes on Monday evening, cities and towns throughout southern and central Israel opened their public bomb shelters in anticipation of retaliatory attacks from Gaza. Tel Aviv, Beersheba, Petah Tikva, Kiryat Gat, Rishon Lezion and other cities and towns throughout the country all opened their municipal bomb shelters. Residents of the Israeli communities closer to Gaza were told to remain within close distance of their bomb shelters and other protected spaces. 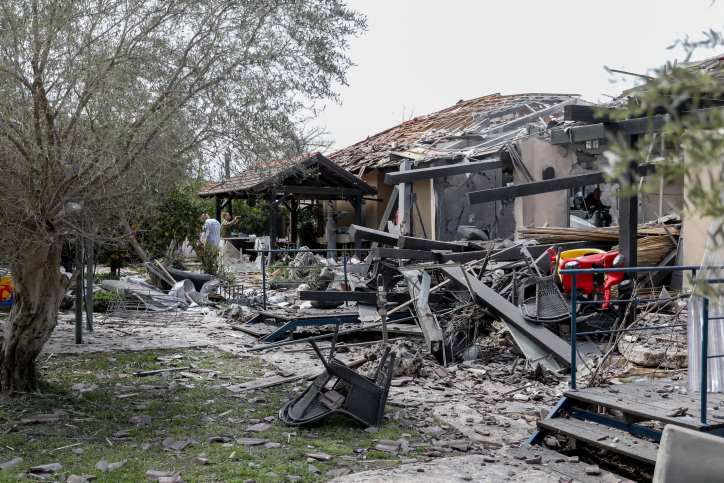 The early morning rocket attack Monday destroyed the home in the town of Mishmeret, northeast of Tel Aviv, making it the farthest reaching strike from the Strip since the 2014 Gaza war. Two of the people inside were moderately wounded and five others, including two small children, were lightly injured. Following the attack, the IDF and local governments rolled out a number of precautionary measures. Additional Iron Dome air defense batteries were deployed throughout the country. 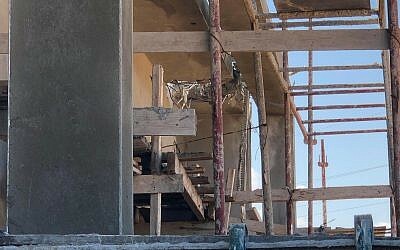 The rocket strike, which was attributed to Hamas, represented a significant increase in the level of violence from the coastal enclave, following weeks of heightened tensions and border clashes, as well as recent skirmishes in an Israeli jail between Hamas security prisoners and prison guards. There are fears in Israel that violence will ramp up this week, with Hamas hoping to draw hundreds of thousands of rioters to the fence at the weekend to mark a year of so-called March of Return protests, which began March 30, 2018. Raphael Ahren, Adam Rasgon and Jacob Magid contributed to this report.